Whoever thought that his philosophies would have ever seen the light of day in America? Every successful revolution follows three stages: (1) Winning the hearts and minds of the people; (2) Resisting illegitmate authority through civil disobedience; and, (3) All out war. America is being dragged into stage three by the occupation forces that have hijacked our government. 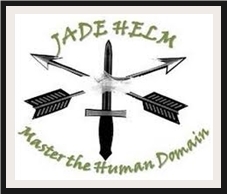 Jade Helm is the manifestation of dragging America into a stage three confrontation before the people have had a chance to build a coalition through successfully completing the first two stages. This is the strategy that Stalin employed as he enslaved an entire nation and history is indeed repeating itself. If the globalists can draw us into an armed conflict over the coming Jade Helm occupation and crush the opposition, they can end all pretenses and their full blown tyranny will be fully exposed for all to see and experience firsthand. Many believe that the revolution has already begun and I would agree with them to some extent. However, there are three distinct stages of revolution and we are moving down the path to civil war at a frightening pace. You may not realize this fact, but the bankers who have hijacked your government certainly do! 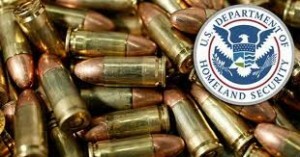 When DHS purchases 2.2 billion rounds of ammunition and 2700 armored vehicles, it is clear that they are preparing to kill millions of uncooperative Americans. 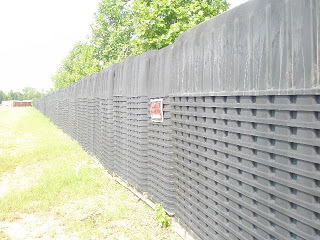 When you realize that every federal agency including the National Weather Service has acquired millions of rounds of ammunition, what does that tell you? They are ready, are you? To the sheep, they believe everything is as it has always been. To most Americans, they know something is terribly wrong, they just don’t know what exactly is wrong because Anderson Cooper, Wolf Blitzer and Fox and Friends are not telling them. The first stage of a revolution, is a war of ideas and a campaign for the truth. Where I see the enemy at the gate, most of my friends and neighbors are sleeping through the unfolding attack. We are in a war of words and if we fail to use our words to awaken all of humanity, we are hopelessly lost and the globalists will carve us up for dinner. There is indeed strength in numbers and if we are unable to wake up our fellow countrymen, we will negate the only true tactical advantage that the people enjoy, which is ideological solidarity from a numerically superior force. It should now make sense to you as to why 98% of the media is controlled by globalist controlled business interests consisting of five mega corporations, who in turn are controlled one way or another, by the members of the Federal Reserve. In order to win this fight, we need more people speaking out, making videos and calling MSM talk shows. We especially need to reach the police and the military in order to remind them of their constitutional duty to protect the people against a tyrannical government, but this is not what we are seeing. Our counter to the control of the MSM, is to exclusively support the alternative media. If Obama’s globalist friends are successful in taking down the alternative media, then it will become necessary to enact a type of Committees of Correspondence apparatus similar to what our Founding Fathers did in the pre-Revolutionary War period in our history. On the ground communication is timeless, effective and very difficult for a totalitarian government to negate. THE PEOPLE CANNOT WIN A REVOLUTION BECAUSE THE RESISTANCE HAS NOT CONVINCED THE MASSES AS TO THE THREAT WE ARE LIVING UNDER. THIS IS STRAIGHT OUT OF THE JOSEPH STALIN PLAYBOOK OF PREVENTING THE OPPOSITION FROM BUILDING AN OPPOSING IDEOLOGICAL BASE WHICH IS A PREREQUISITE TO ANY SUCCESSFUL REVOLUTION. IT MAY BE TOO LATE TO DO SO! 1. The passage of the John Warner Defense bill removed all the firewalls between the people and subjugation by federally controlled troops. A scant few spoke out and nobody resisted. 4. Obama’s announced intention to seize all “military grade weapons”. 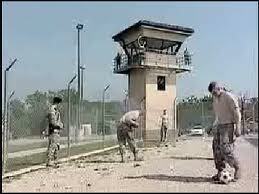 Obama’s definition of a military style weapon is anything that can shoot a bullet. You will soon be reading that all newly produced firearms have a microchip in them so they can be tracked. 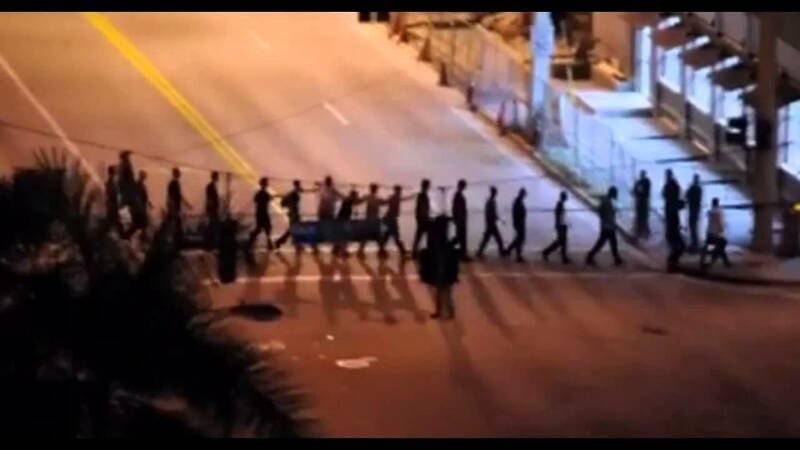 Any totalitarian regime can cut the legs out of a revolution by disarming the people. When the American people are under the control of Jade Helm, I predict that gun confiscations will begin through Executive Order. A scant few will speak out and nobody will resist. No matter what gun control laws that Obama brings to the American people, the people need to disobey as civil disobedience is our best friend. However, passive disobedience is our VERY best friend. Most readers already know what happens when a civilian population surrenders its guns. If your knowledge of history is shaky, take a look at Pol Pot, Rwanda, Hitler, Stalin and Mao. The University of Hawaii tells us that that over 260 million people were killed by their governments in the 20th century and this was accomplished after gun confiscation. Any nation that gives up its guns, has sealed its fate. When, not if, but when Obama comes for our guns, all of us have a constitutional duty to disobey these unlawful policies. And even if we manage to hang on to our guns, it is easy to predict the next move as Stalin invoked the practice of creating food shortages. You can count on this happening. A successful revolution cannot simply jump to stage three without having progressed through the first two stages and this is the strategy of the globalists as they are dragging the people to the battlefield of their choice. When Stalin’s forces were dragging a third of the Russians out of their homes, it was too late for the Russians to fight back because the ideological base of resistance, and a sense of collective action, through civil disobedience, had not been built. THIS IS THE STALINIST OBJECTIVE OF JADE HELM. 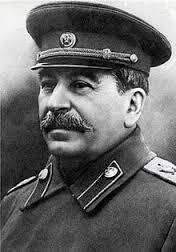 The Russian people were defeated by Stalin because they did not win stage one of the revolution. We desperately need to heed this lesson from history and embark on a tireless crusade to wake up our country as to the dangers that lie ahead. And even if the people are sufficiently awakened, it does not guarantee victory of any kind unless of course, the bravado crowd has stored directed energy weapons in their basements. Therefore, it is the duty of every awake American to educate their neighbors, family and friends, whether they want to hear the truth or not. Remember, any kind resistance to tyranny will not succeed unless there is an attitude of defiance towards the tyranny. Tyrants require minions to carry out their tyranny. Education about the present tyranny can lessen the size of the potential minion pool. Again, this is accomplished in stage one and we almost out of time. People frequently ask me if I think we can mount an effective resistance and I respond that the odds are really against the people. This fact should not keep people from resisting with every fiber of their being. Further, resistance can evolve into adaptation and this could save the lives of your family. Prepare, pray and let the globalists run out of steam. To paraphrase the Bible, in Romans 12:2, it essentially commands its followers to not be an integral part of the world. Prepare to be outside the grid, outside the food supply system, outside the need for public services because they will be used to control the people in times of desperation. At the end of the day, you better start walking if you are not going to start talking. Your team is down by 20 points and the fourth quarter is underway. The odds against victory are long. First, the people have to develop a collective mentality against those forces who began to openly occupy this country in 2008. Second, the military has to become convinced that the people will support them in a popular uprising. Third, the dissident military would have to command enough resources to effectively resist the complete of the takeover which could be only a few months away. Fourth, we would have to hope that any successful military coup would voluntarily extinguish itself and surrender authority to a civilian government because frequently, there is a second revolution that follows the first because one form of tyranny has replaced the first form of tyranny. This is a lot to happen in such a short time that we have available. If I were you, I would hedge my bet and prepare to adapt to a collapsed America devoid of any civil liberties unless you care to homestead at the following the residence. Calexit: Should California Secede From The Union?